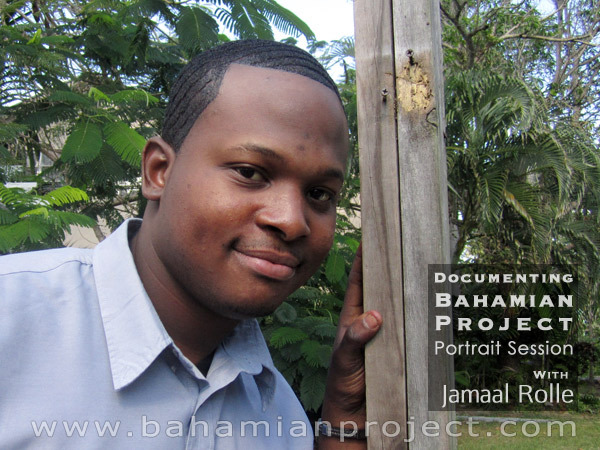 This picture of Jamaal Rolle was taken right after his portrait session for the Bahamian Project. 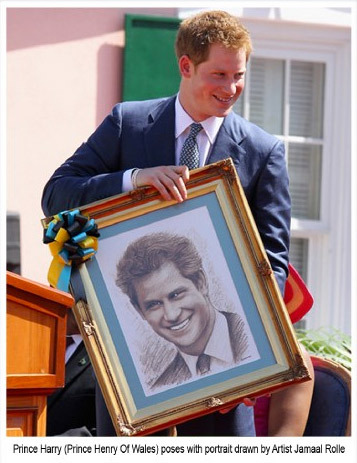 The final portrait images will be unveiled at the Exhibition Opening at the National Art Gallery of The Bahamas on July 11, 2013. 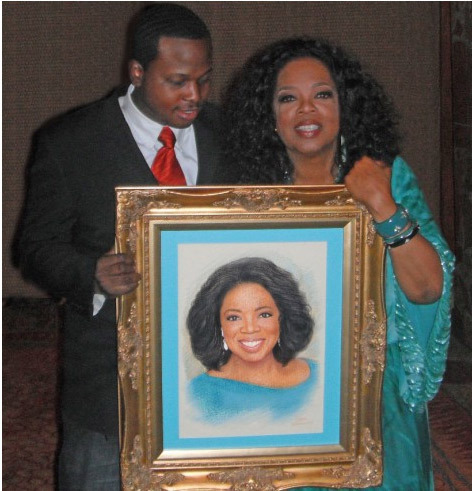 Jamaal Rolle is a young Bahamian visual artist who is becoming widely known for his portraits of famous political, entertainment, and sports figures. The portraits he has drawn include Barack Obama, Prince Harry of Wales, Sir Sidney Poitier, Oprah Winfrey, Johnny Depp, and Michael Jordan among many, many others. And now, here was the portrait artist in our studio to have his portrait done for The Bahamian Project. He told us that he started out drawing alongside his father Harry Rolle, at Marina Village. Back then he was a young quick-sketch artist honing his natural skills. Now, at 28 years, he has developed his own style and built up a significant portfolio of famous faces. He has been featured and documented in The Washington Post, BBC News, People Magazine, the Huffington Post and CBS News just to name a few. 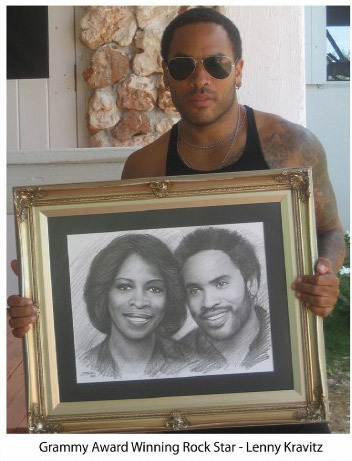 He is becoming well known as The Celebrity Artist. Jamaal also draws a daily political and societal-life cartoon in a local newspaper.